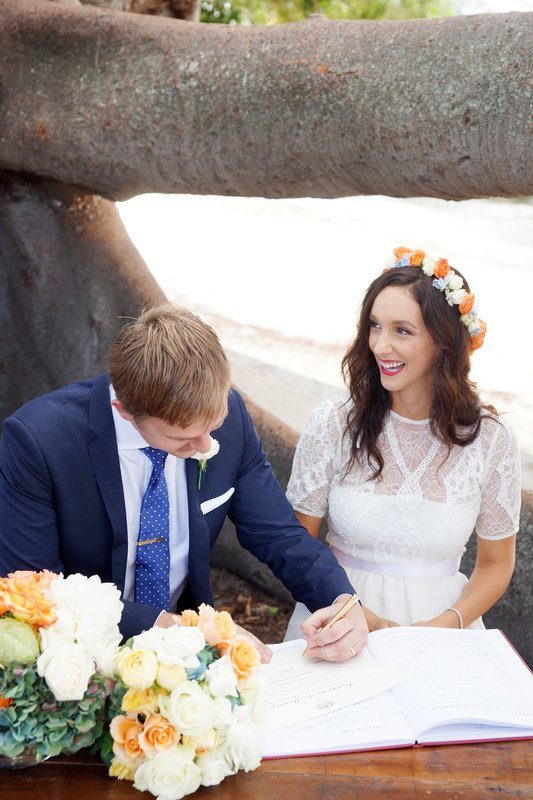 Gunners Barracks is a divine place to get married and we have seen the venue styled in so many ways, but this must be the most original wedding we’ve seen. 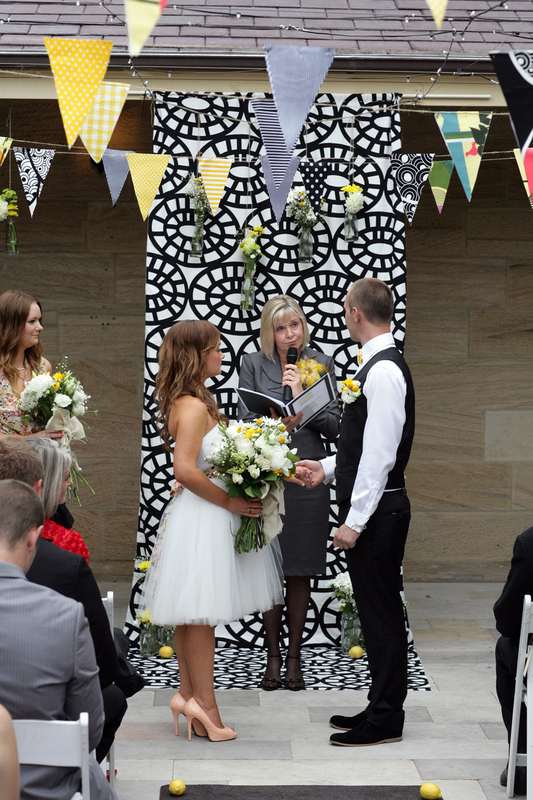 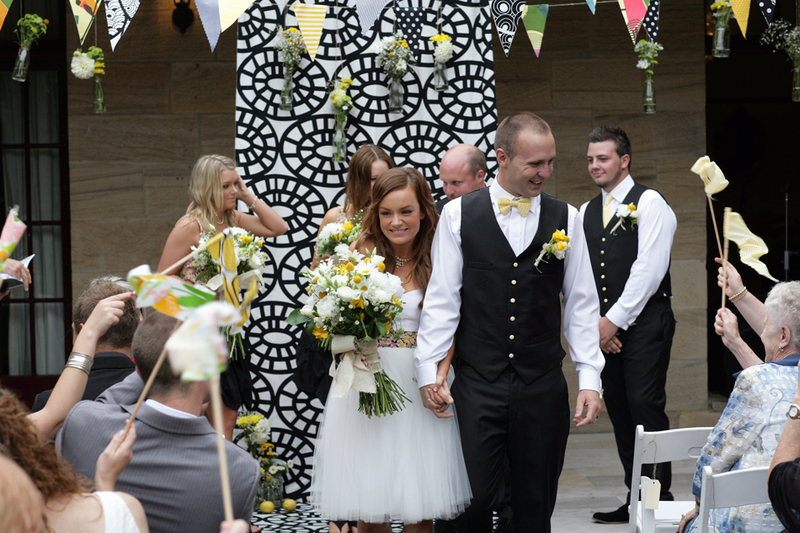 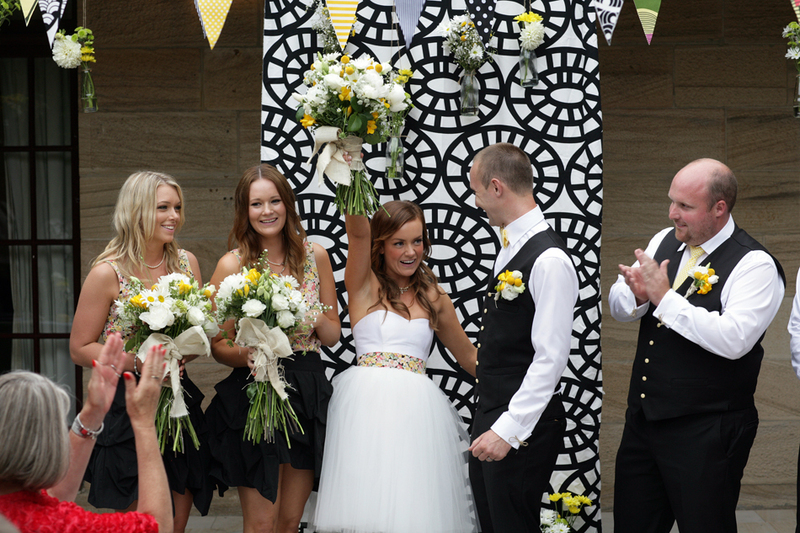 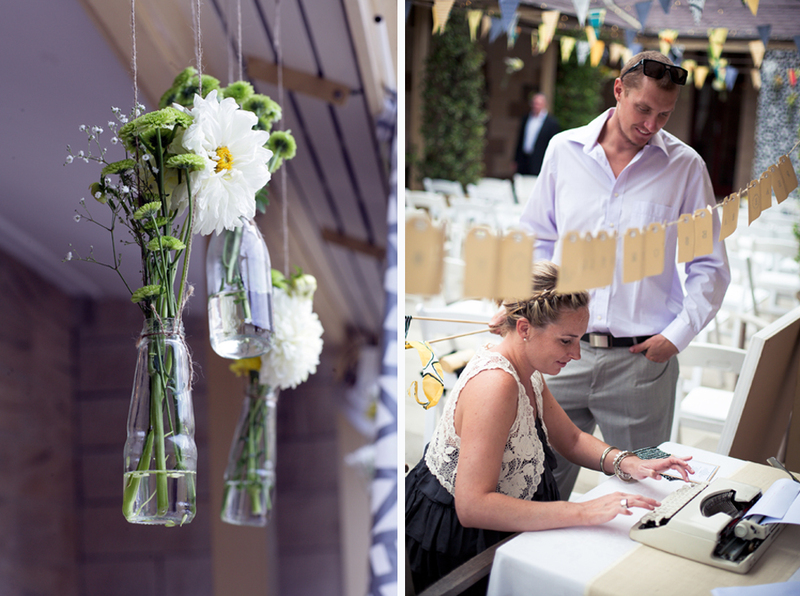 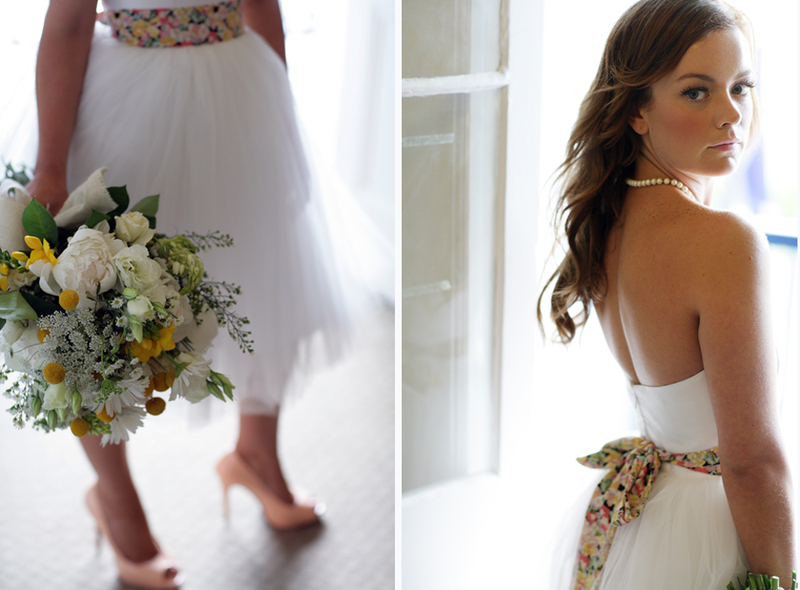 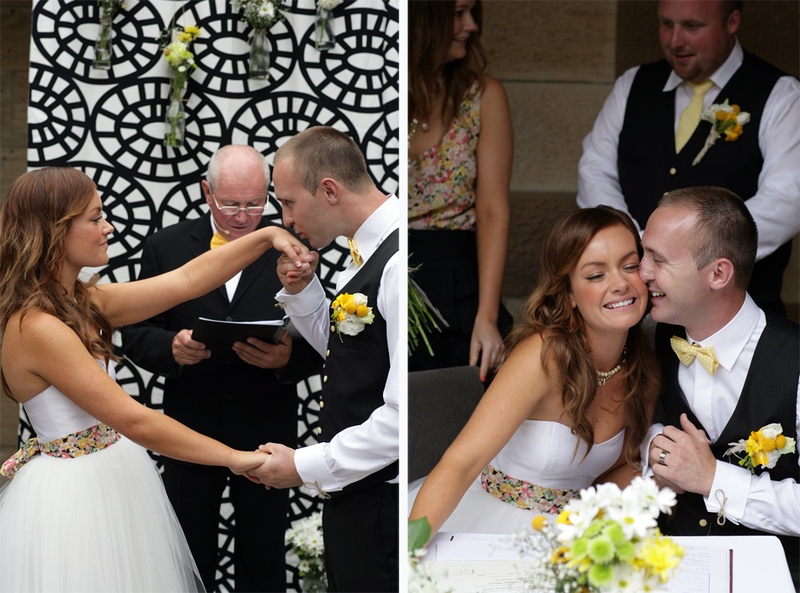 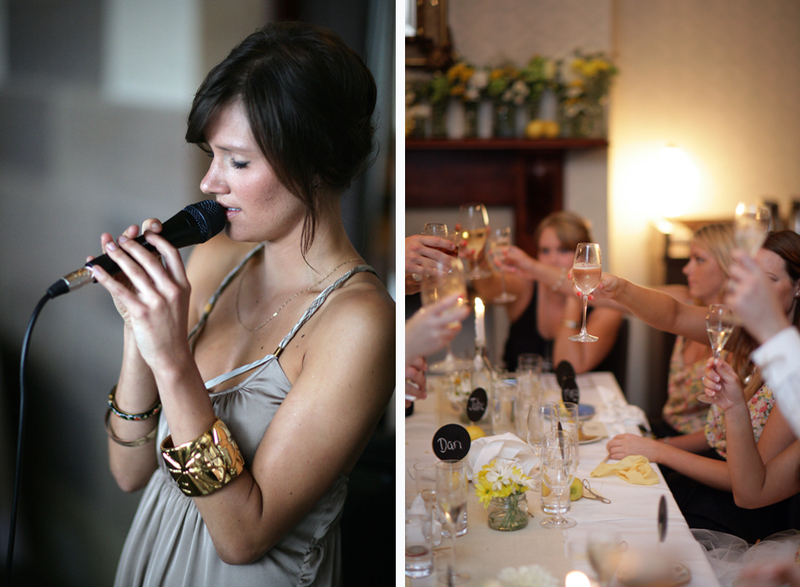 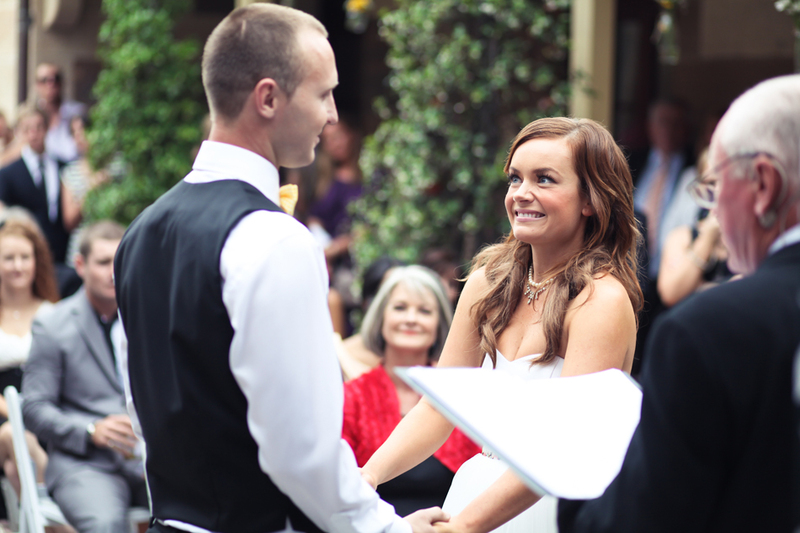 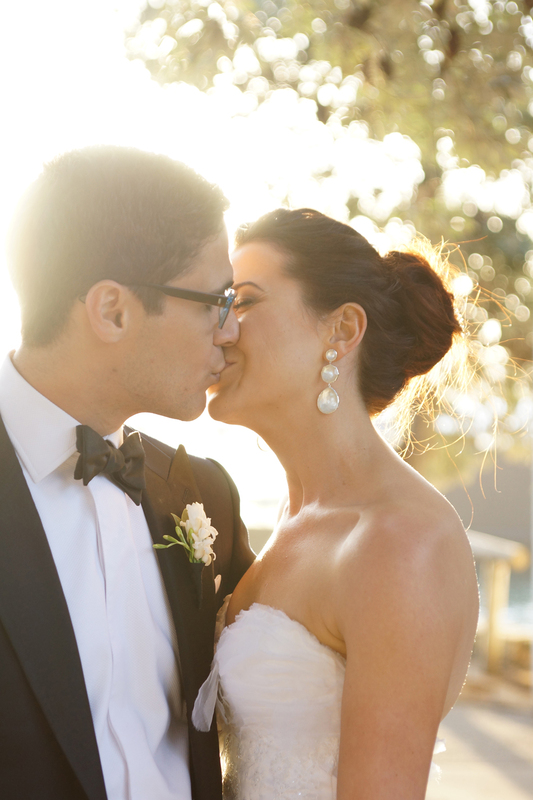 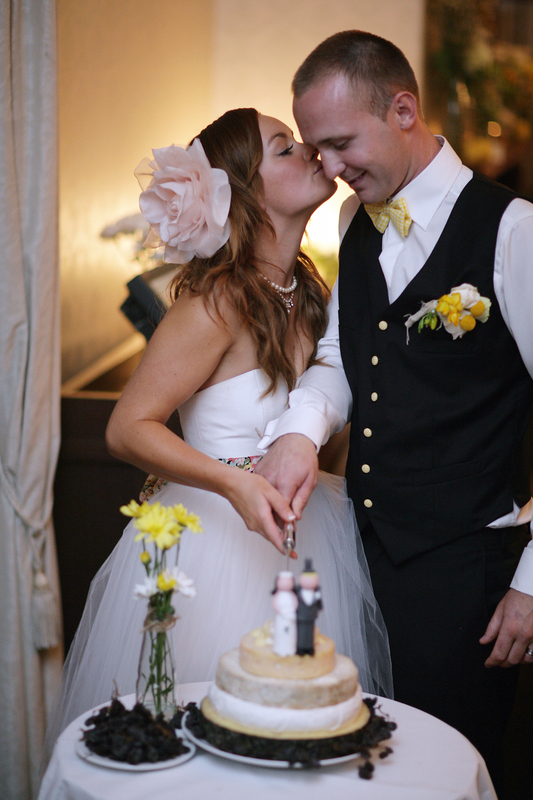 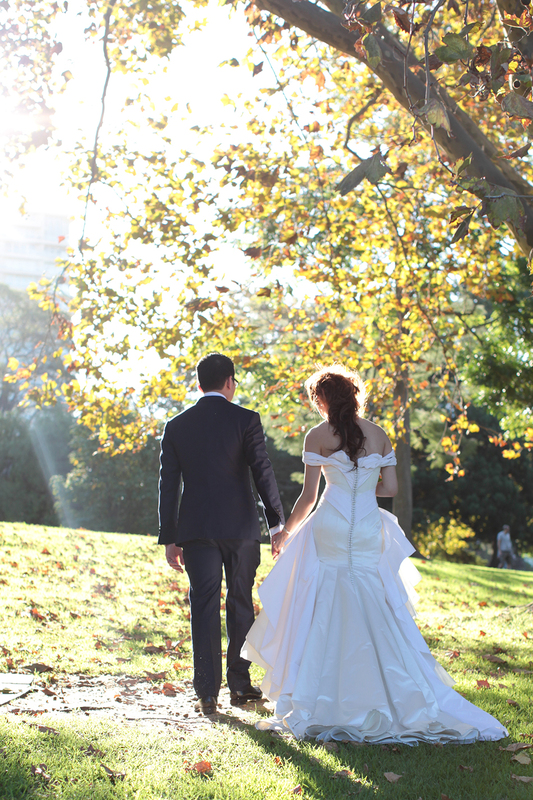 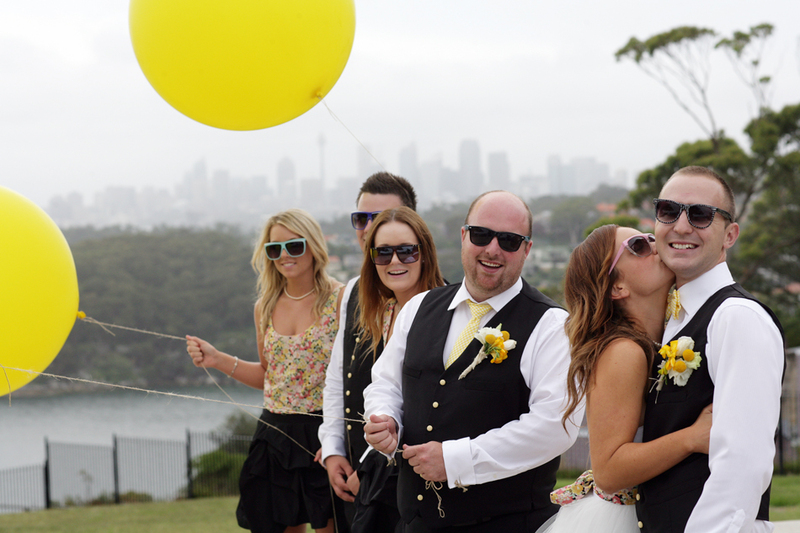 Karen & Paul worked tirelessly to create a unique day that was true to their dream wedding. 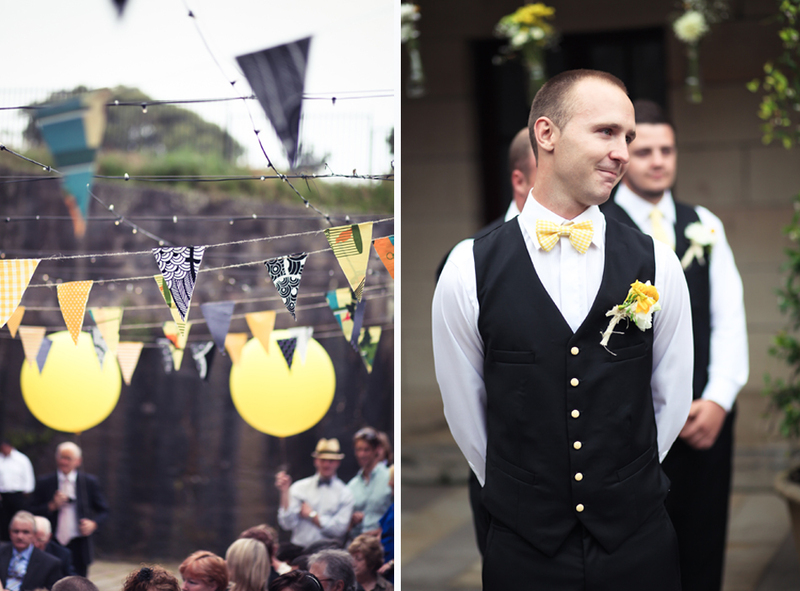 It was full of their favourite happy colour “yellow” and everywhere you looked fabulous details & styling kept you captivated all night long. 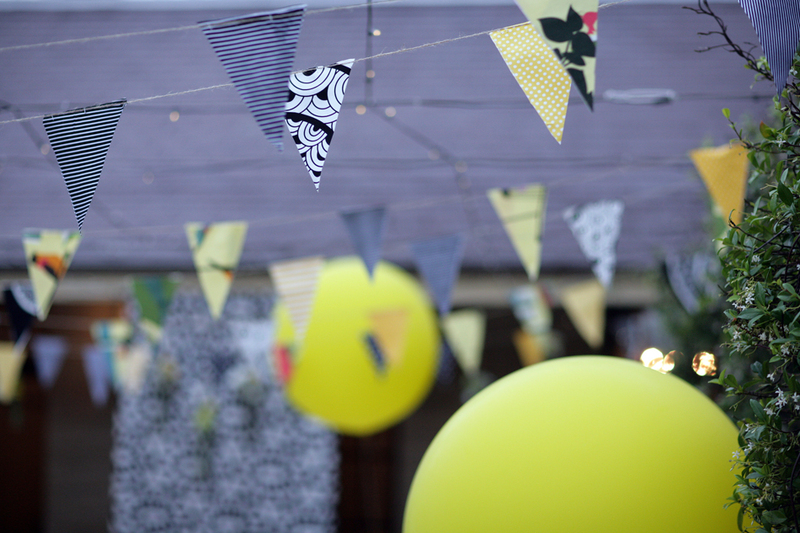 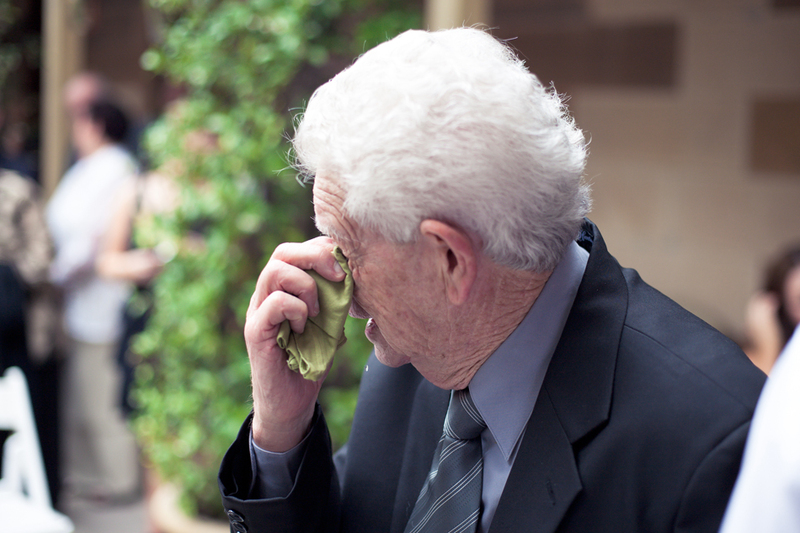 Guests were invited to enjoy soft serve cones on arrival before making their way to the beautiful sandstone courtyard decorated with rustic hanging flower vines, hand-made vintage bunting and black & white geometric backdrop. 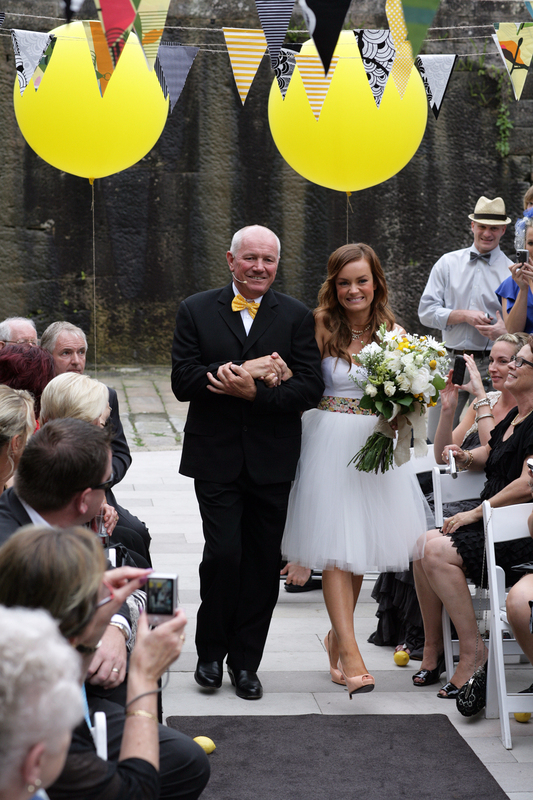 It was a heartfelt moment to capture Karen’s Father walking her down the aisle and officiating the ceremony as a dear friend sang a beautiful love song. 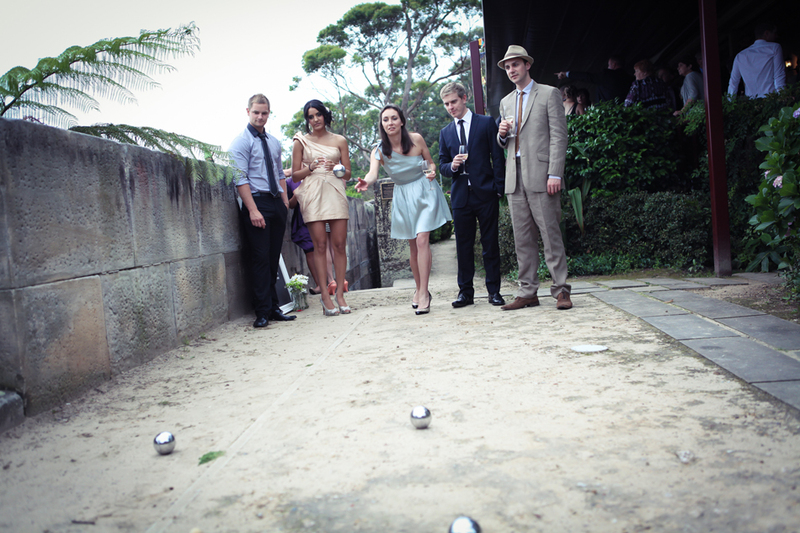 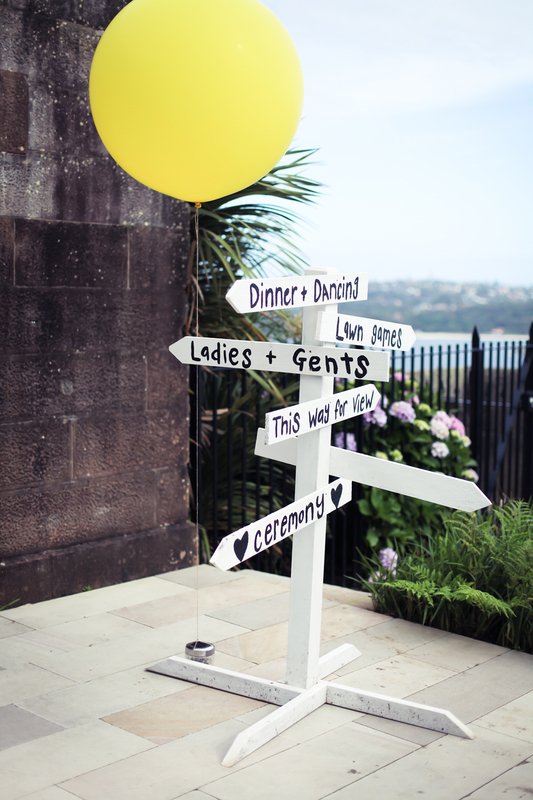 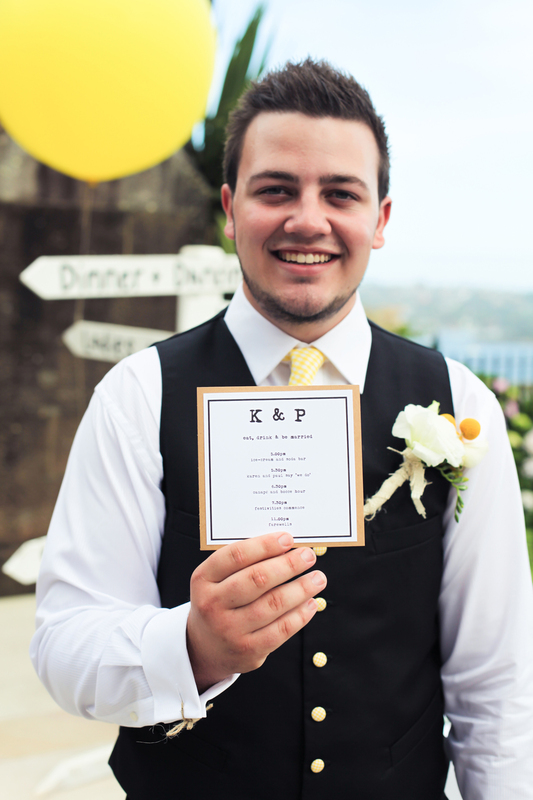 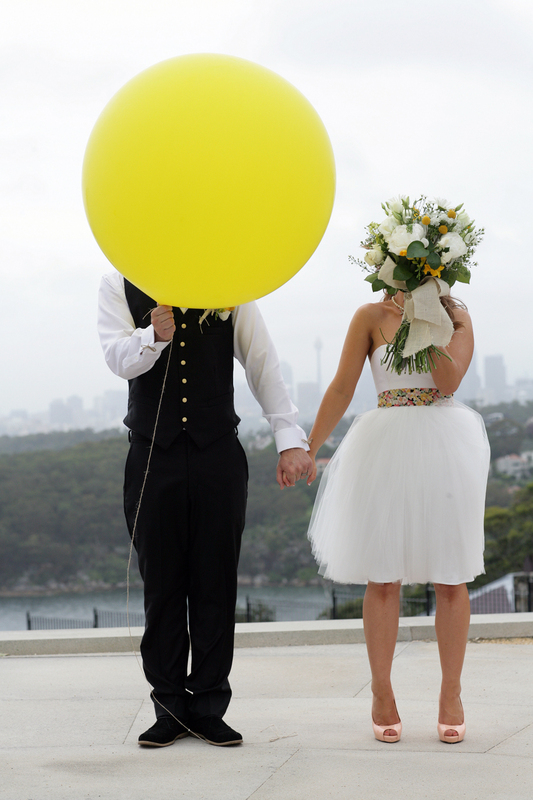 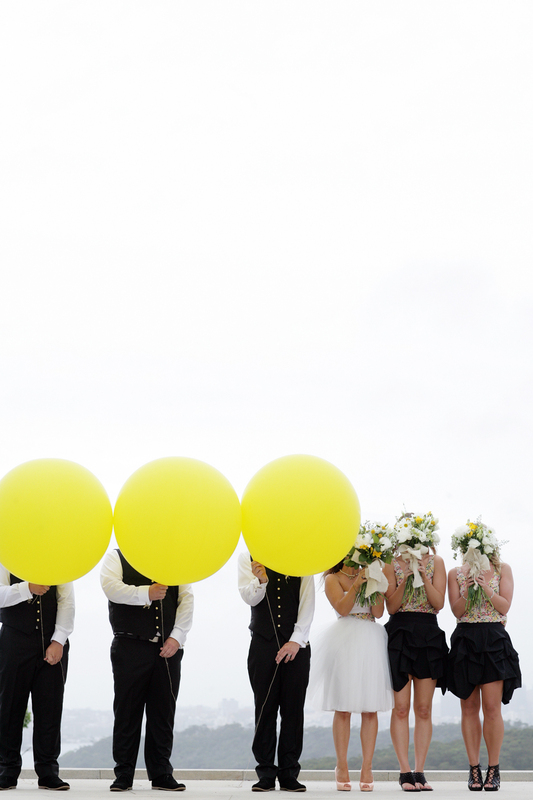 Our fun filled photo shoot on the George’s Heights headland included oversized yellow balloons whilst back at the reception guests were enjoying pre-dinner drinks & canapes over a game of bocce and vintage gift card writing. 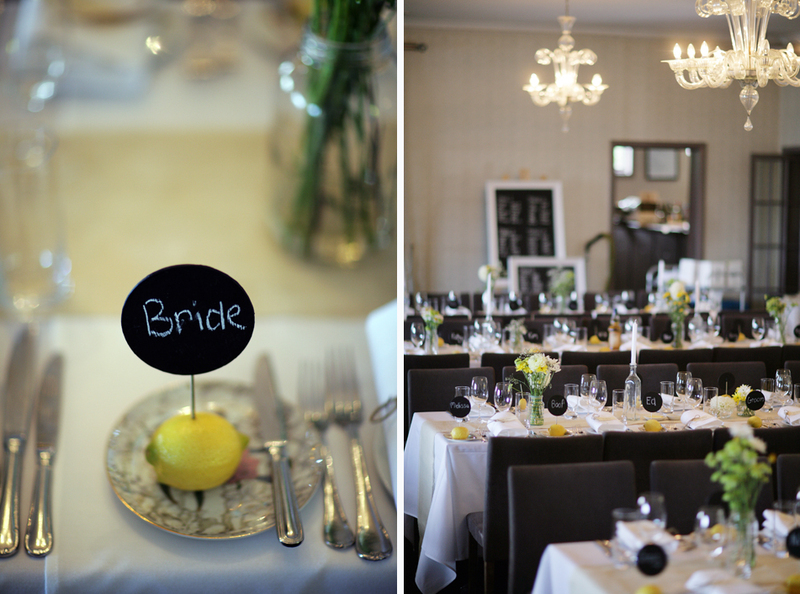 The dining room was decorated with hessian runners, antique glass jars filled with handpicked florals, vintage side plates adorned with lemons & little chalk boards used as place settings. 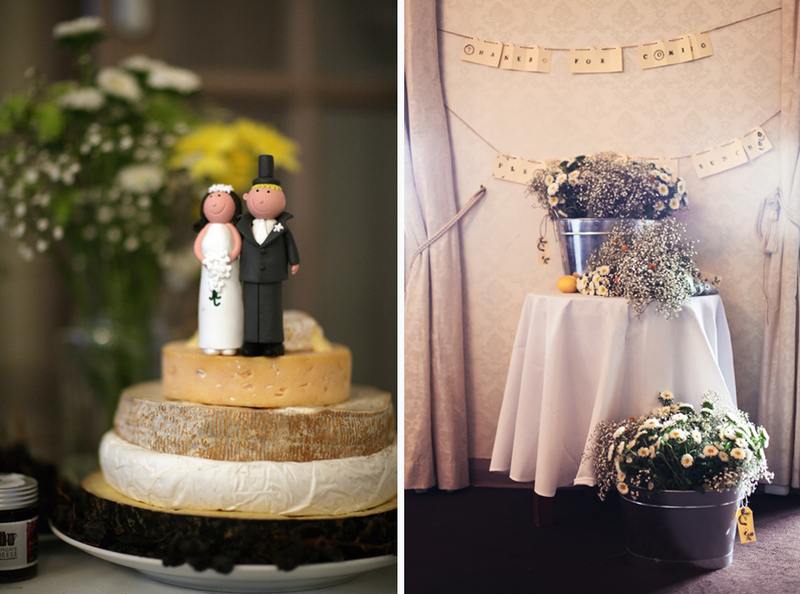 The couple also had a delicious 3tier cheese wheel cake adorned with mini figurines. 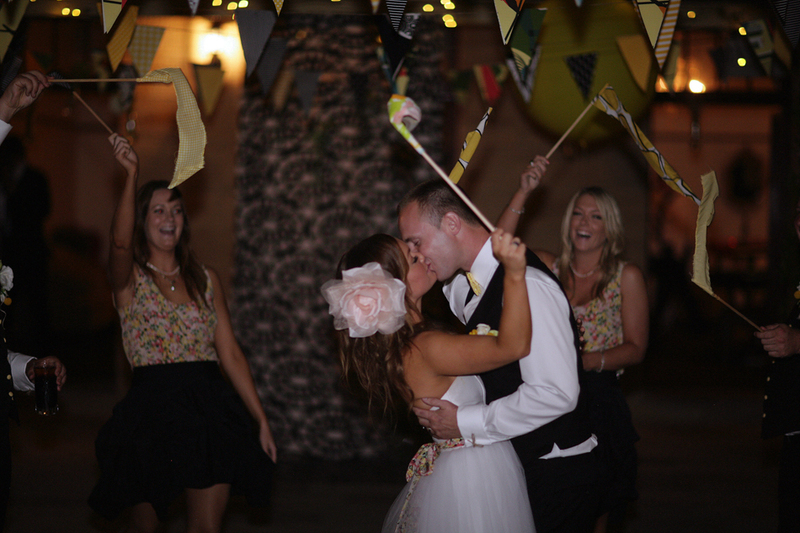 We loved capturing Karen & Paul’s wedding dance. 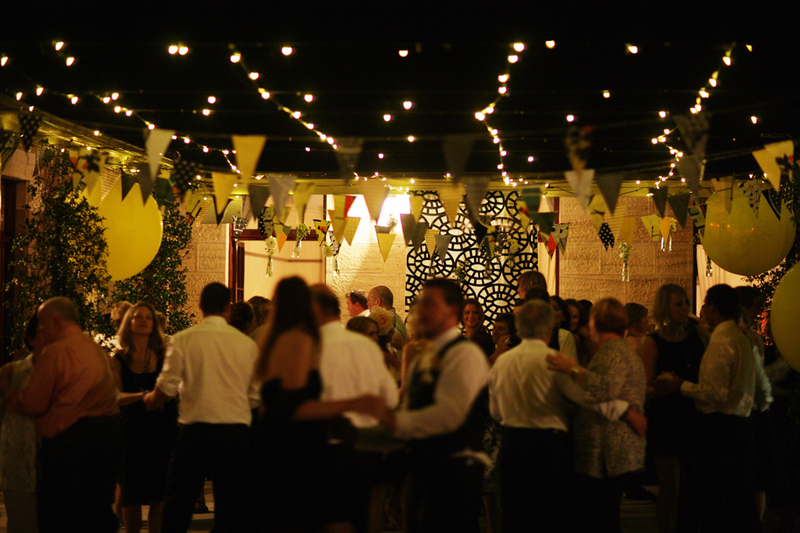 They proved you can never have enough fairy lights to celebrate your first wedding dance under the stars.